If any of you follow me on Instagram, then you know that I had the most fun summer ever! T Money and I were gone for most of the summer on vacations with the family. We ended our summer (because I am back at school with teacher meetings, etc. grrrrr) with a trip to San Diego. Our next stop was Oregon. Now, most of you know that I am from Portland, but we weren't really in Portland for most of this time. We went to my cabin, my favorite place in the world, at Crescent Lake. I spent so many summer days at this place. I have so many fond memories of swimming, getting on Irv, the old row boat, skinny dipping, riding sea-doos and boating, playing cards, and late night skits at this cabin. It's so fun to be the "adult" here, with all of my nieces and nephews running around. I am the youngest of five children and I have three sisters with children, so we have tons of little ones running around. Let's be real here for a sec, my family has a really hard time being together without fighting, and for the most part, we survived with no fights. It's a miracle!!! Woooo hoooo. No, in all seriousness though, I do love my family and am grateful for their beautiful children, sarcastic humor, and good times at the cabin. There were so many good pictures that I didn't know which ones to pick, so I am going to do a Part I and Part II. Yes, I even had to cut down pictures for these two posts. So many cute pictures! Landon (brother) and Wembley, niece. My brother in law, Nick, showing off on the wakeboard. On the sea too with Teya and Brizban, my nieces. the girls were a little scared… hahaha. My sister, Mckenna, holding her new niece! If I could describe my nephew, Dane, in one picture, this would be it. T Money and nephew, Lincoln. Nona makes her grand baby, Thatcher, cry, apparently. hahaha. Kiddos playing on the dock. Sister, Briawna, with her babe, Thatcher. Love this picture. Lincoln driving the boat! Hehe. Me. Deep in thought. Ha. Awww Lincoln and his uncle Landon. 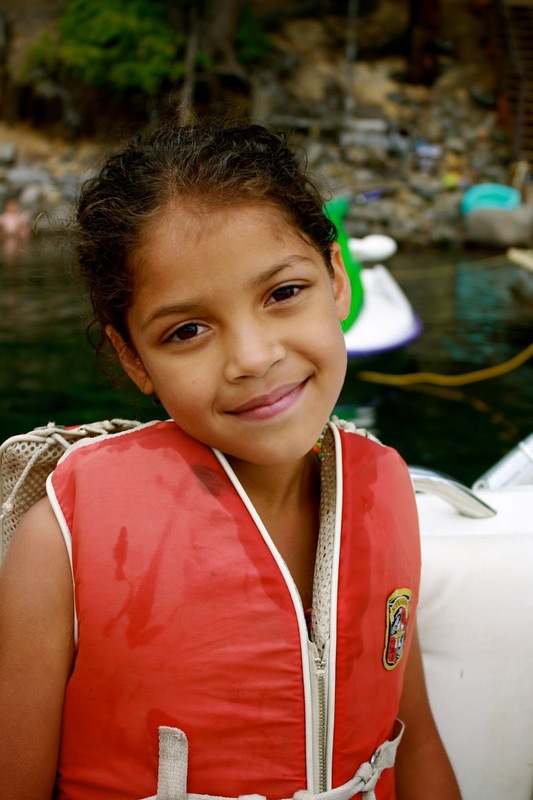 Labels: cabin, crescent lake, family, nephews, nieces, oregon, swimming, travel, vacation. I'm not blessed with any nieces or nephews yet but the biggest thing I miss about none of my cousins being little anymore is the chaos at family gatherings. Its just not the same! I can't wait until myself and my siblings start having babies so the chaos can begin again! Looks like a fabulous and special time with the family. I'm from Washington (an hour from Seattle) so seeing your pictures of Crescent lake makes me think of home! Looks like you had a great vacation! I love seeing my boys making memories with their cousins. This year, we drove with my niece and nephew from Seattle to my house in SoCal and had them stay with us for a week...best week ever! I've always wanted to visit Oregon!! Looks like it was a blast and all of those kids are so adorable!! Oh my your family reminds me of mine so much! We are constantly fighting, but aways making up again and then we're all happy again! We had holidays like this too. Now we're all grown up, i'd love to have somewhere like this where we could all go! What cute kiddos! I've got 12 nephews and nieces (and all but 1 nearby!) and love the chaos that ensues! I haven't been to Crescent Lake in years.... after these photos I'm gonna tell my hubby that we need to go! Great pictures and beautiful looking kids. I have 8 nieces and nephews all under the age of 7 (lots of siblings) and it's a blessing and stressful when they are all together. As a military member, I am not around family most of the time, so when we get together, it makes the moments even more sweeter when the little ones are there. Your niece has beautiful eyes!! Gorgeous pictures. Such cute and happy little kids. Gotta love that! AWESOME that you captured such a fun, beautiful, colorful narrative of a wonderful summer vacation. Best way to remember and share it. Lovely photos! I love hanging out with mu nieces and nephews - it's always a riot! Too much fun! 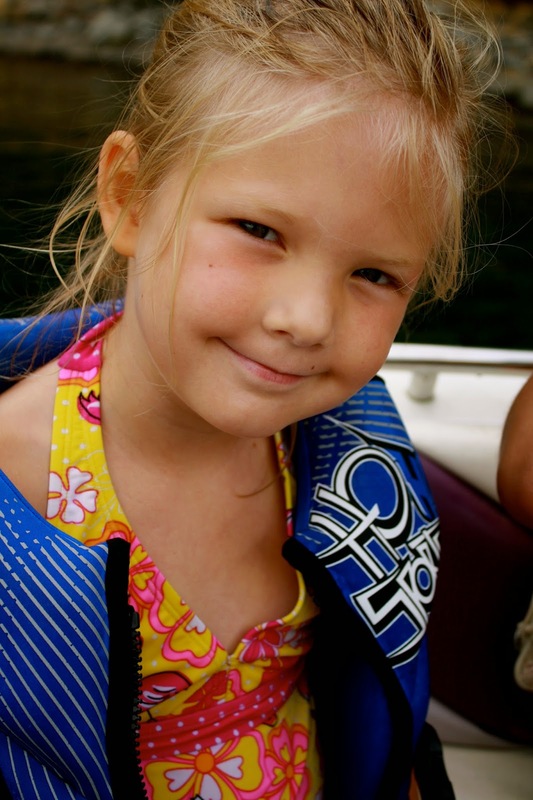 So sad we didn't get out on the boat this Summer! Looks gorgeous loves all the pics! 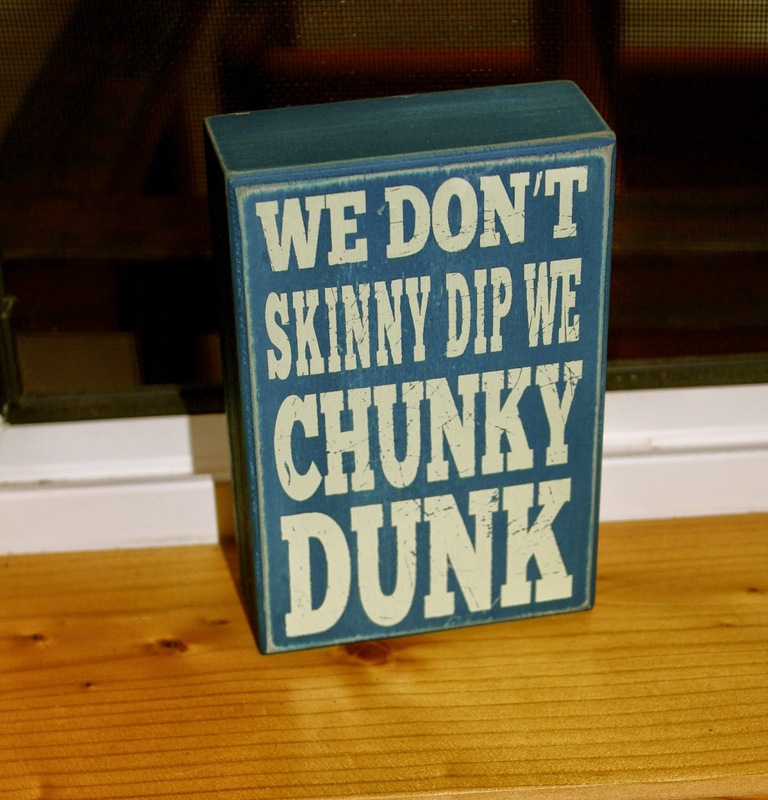 We have that chunky dunk sign at my MIL's house haha. I love all your pictures and am a little jealous we haven't done much with our summer. ii've never been wakeboarding. that looks like a lot of fun! Aww, there are so many little ones, it makes me so happy! I am so happy you had a blast!! Looks like you guys had a great time! I really love the chunky dunk sign! What a beautiful vacation! I love the photos, breathtaking. Okay, that family is beautiful! Love the photos, they show much emotion from your trip! Looks like so much fun, I'm a little jealous of all of your water activities! I just got to paddleboard in Lake Tahoe and had a blast. Oh! I just got to know, where oh where it this lake? What is it called? These are super cute - and I love that first word block. OMG there is so much cuteness going on in this. It looks like you had an amazing time and the kiddos all looked like they had a blast. Great vacay!! You look like you had a blast! And those kids? Stop they are absolutely adorable ! Looks like a ton of fun! ...and you always take such great photos!